みなさま、おひさしぶり〜！We are back from a FABULOUS trip to Japan and (sadly) back to normal life. It was a whirlwind trip– we hit up Tokyo, Hiroshima, Osaka, Kyoto, Kobe, Nagoya, Hakone, and Yokohama in 2 weeks (I know, we are crazy). We saw lots of friends and family, ate tons of mouth-watering Japanese food, saw gorgeous sakura everywhere, and had the time of our lives. What I want to say to all of you out there is, “Don’t be afraid to go to Japan with young children. It is a blast, and worth the extra effort to take them there!” My daughter is already begging to go back. I’ll be sharing what we did with our children in Japan over the next few weeks. 1) Why are you passionate about learning Japanese/ teaching your children Japanese? 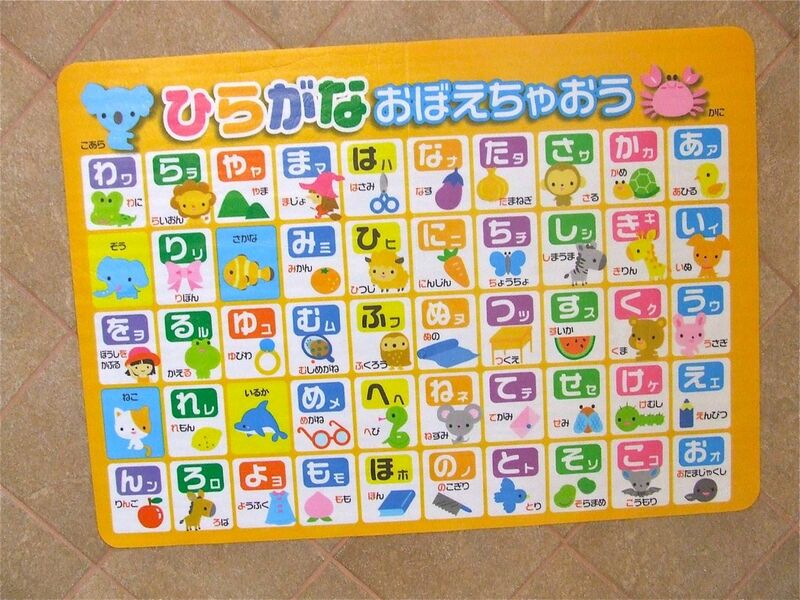 2) What is your favorite/ most useful post on Hiragana Mama? At 60 x 42.5cm, it is a pretty large chart. It just sticks to the wall of your bath with water. Good luck, and check back for posts about our trip to Japan 🙂 Thanks for reading, and please share with your friends!